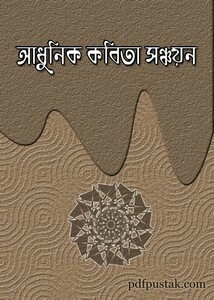 'Adhunik Kabita Sanchayan' is an excellent Bangla Poetry collection book. There are many poet's written poems in this book, this poets are Rabindranath Tagore, Promod Chowdhury, Karunanidhan Bandyopadhyay, Satyendranath Dutta, Kumudranjan Mallik, Kirandhan Chattopadhyay, Jatindranath Sengupta, Matilal Majumdar, Banphul, Sajanikanta Dutta, Kazi Nazurul Islam, Jibanananda Das and many more. Collect the book as pdf from link below.